Great News Everyone! 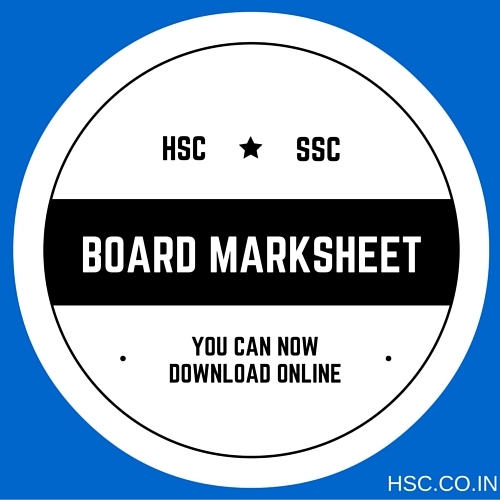 Now we can download our SSC and HSC marksheets online. No need to fret, if you have lost your original marksheets. Please share this news with everyone on your WhatsApp , Facebook , Twitter etc social networks. eMarkSheet is a web portal for online verification of statement of marks as well as certificate for SSC(10th) & HSC(12th) for seamless delivery of information / services to its stakeholder like students, colleges, employers etc. in the state of Maharashtra. It is designed and developed by Software Development Unit, NIC, Pune in collaboration with state board. How eMarkSheet is helpful ? eMarkSheet is a Government to Government (G2G) and Government to Citizen (G2C) service delivery to make academic recrods online. It is helpful for online marksheet verification. It also helps to access composite depository and to check the authenticity of SSC & HSC marksheets. What are advantages of eMarkSheet ? The main advantage of the system, is that the records will be preserved digitally and most importantly, the system will be more useful to colleges during the admission period as they can log on to the website to verify marksheet for their record and also when students apply for jobs, employers will be able to verify the applicants marksheets online on this portal. How to verify marksheet ? Please Register for verifying SSC & HSC marksheet.